This composite image shows the most distant X-ray jet ever observed. This quasar is about 12.4 billion light years from Earth. 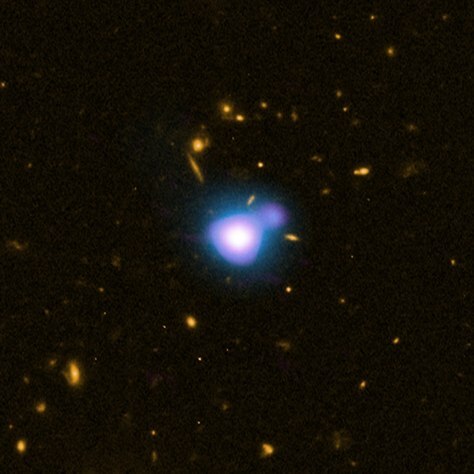 X-ray data from NASA's Chandra X-ray Observatory are shown in blue, radio data from the NSF's Very Large Array are shown in purple and optical data from NASA's Hubble Space Telescope are shown in yellow.